The audio quality of most Bluetooth products isn’t usually very inspiring and their limited range can be frustrating. The B1 solves these problems by implementing the aptX codec, which is a high-quality audio converter designed specifically for audio. The B1 also has special circuitry and a precision-tuned antenna to extend the wireless range, providing much more versatility than other Bluetooth receivers. The aluminum case of the B1 reflects traditional Audioengine design and the high-quality components and audio fidelity are typical of Audioengine’s commitment to great sound at affordable prices. The Audioengine B1 continues to close the gap between your computer music and home hi-fi and even if you’re not an audio enthusiast we guarantee your music will sound better! 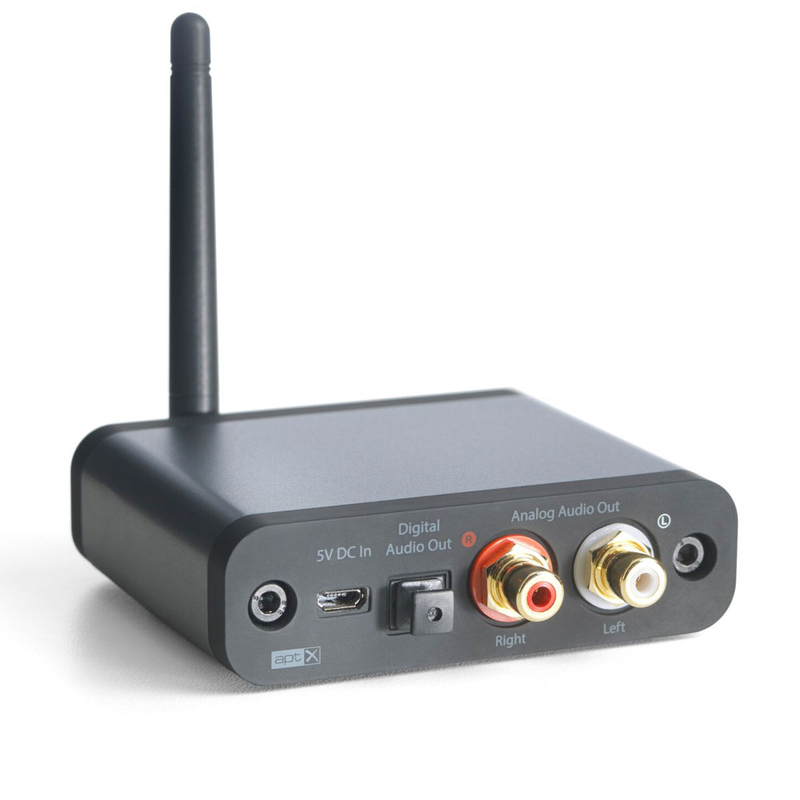 Experience stunning audio quality with aptX HD coding, built-in 24-bit upsampling DAC, and extended wireless range. 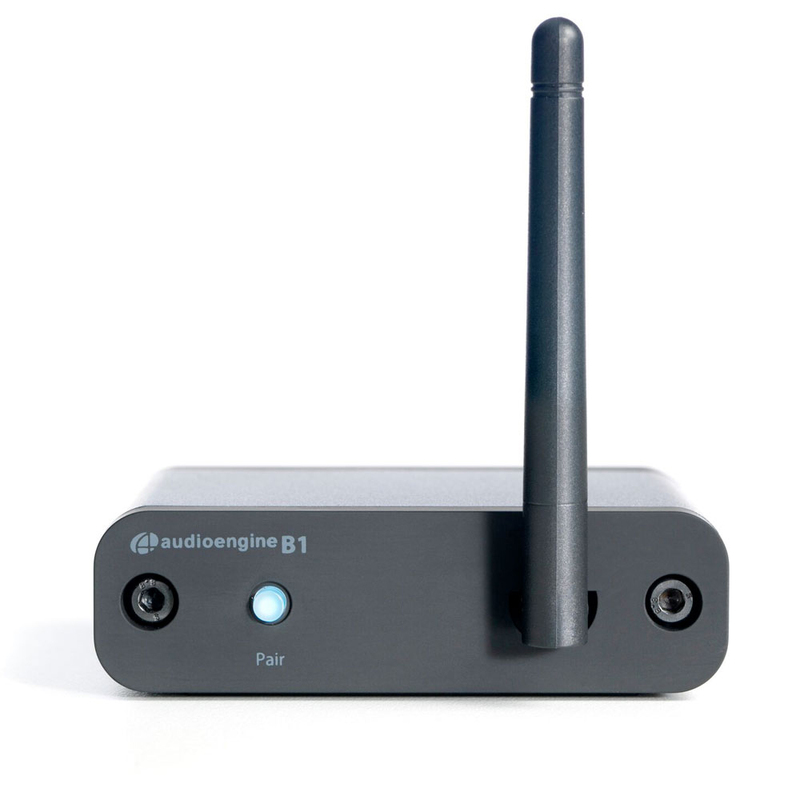 The B1 Bluetooth Receiver utilizes the AKM AK4396A DAC, widely known for its low noise and high fidelity. B1 is essentially an upsampling 24-bit Bluetooth DAC and will pad all bit depths internally to 24-bits, thus achieving a higher signal-to-noise ratio. 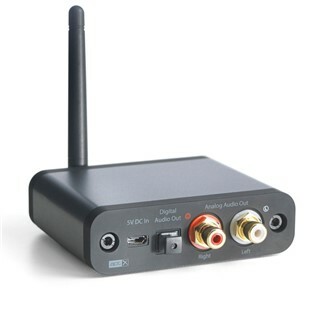 Due to the AK4396A’s high signal-to-noise specs, the fact that the digital signal is converted (upsampled) to 24-bits and the added benefit of triple redundancy power source conversion and filtering, the B1 presents impressive low noise and low distortion characteristics with a noticeable improvement over other Bluetooth devices. The B1 features aptX HD coding which is an advanced Bluetooth audio codec that provides much higher-quality sound than previous versions. The B1 is backwards-compatible with all previous Bluetooth implementations as well, so you can wirelessly stream music from any device and still enjoy outstanding sound.